I was at a business retreat this weekend with fellow women entrepreneurs who suddenly found themselves in the spotlight. These otherwise smart, savvy and successful women looked like deer in headlights when it came to how they present themselves. Simply because they never really thought about it before. It just was not their thing. And now, they felt insecure, irrelevant, inappropriate and out of touch. Even if style doesn’t come naturally to you, looking pulled together and relevant is mandatory if you want to be perceived as someone who has made it in your profession. Style can be intimidating if you’re afraid to take the chance. It’s so easy to skimp on the details if you don’t consider yourself to be fashion savvy. But here’s the problem: It shows! But it shows to anyone who’s in the know… and that could simply be someone with a good set of eyes. So you may think that no one notices a few dated missteps, but they create a glaring subtext that you may not be as relevant as you claim to be. Ouch! Why would someone hire a business coach who looks like they can’t make it their business to look in a dressing room mirror? How can you be thought of as a leader if you can’t lead yourself to a haircut that doesn’t look like your high school graduation photo? Do you think someone will believe that you can help them with their finances if you’re squinting out of the same eyeglasses you wore when you were checking out which VHS tape to rent at Blockbusters? And since the internet made us all global subjects, you also have to be able to create a universally attractive look online. I guarantee that if these three simple “take for granted” things are in check, your style will instantly start to update. Promise. Keep your hair and brows maintained and in proportion with your face shape always. Remember that if you’ve had the same hair style for over 3 years in a row, it’s time to switch things up. 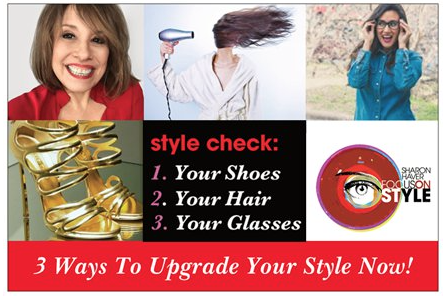 Over that period, you’ve aged (as we all do) without a doubt and keeping your locks well, locked, will only work to continually frame you face and highlight those changes. 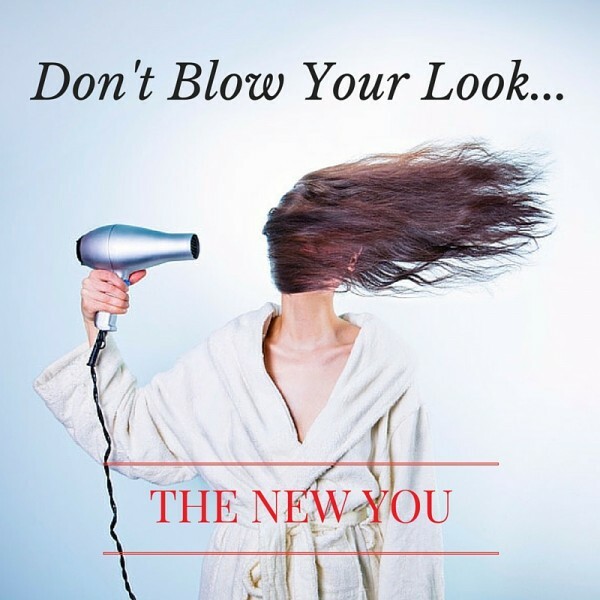 That’s why one must constantly evolve their hair style as you get to keep them surprised, you’ll easily see the transformative elixir of hair and makeup work instantly for you and you’ll most certainly have fun doing it. It’s the first thing that people see online and when you walk in a room. As long as you have a great haircut that you can manage in minutes and your eyebrows are well-groomed, there’s no way your confidence won’t soar. Hair is totally tops… yes, pun intended. When people initially glance at you, they take in your face (with or without makeup) and your hair. And that’s the same moment your eyewear choices can either make or break you. A smart frame can give your look a boost of visual interest and even become a talking point — so choose wisely! Make sure they look contemporary by sticking to classic tried & true silhouettes, sometimes in unexpected hues — depending on your mood. Think wayfarer, club master, aviator etc. But be sure to avoid rectangular 90’s mom readers, wrap sunglasses that should truly only be used for dirt biking and thin wire frames as they all assert a less confident sense of style. Don’t forget that wireless frames aren’t hiding anything other looking like a runner up in the Ben Franklin lookalike pageant. That would make you look old. You don’t want to look that way, do you? Be bold, proud, and own the fact that you are wearing fabulous statement making glasses. Your footwear choices fall in the same area of importance as they complete the whole package. If you go wrong with your shoes, you risk distracting those around you with what could have been a great outfit. Keep their eyes on you with again, classic silhouettes that have modern updates in finish and hues. Keep the toe rounded, the heel height appropriate and never forget that you CAN find a pair of comfortable shoes that don’t skimp on fabulousness. I know you want to wear comfortable shoes, but shoes that look too comfy will make you appear lazy — like you just can’t be bothered to make an effort. Let alone frumpy & dumpy. Think about how that reflects in your image. Don’t sell yourself short. Making an ugly decision is just as easy as making a spectacular one. It all starts with the first step towards awareness. Learn How to be Even More Stylish: The 12 steps to style, now!